Barry Manilow shows sell out regularly so book your tickets today. Buy your ticket online to get the best seat at the best price. Enjoy one of world’s all-time bestselling recording artists as he performs from his huge catalog of top 40 hits. 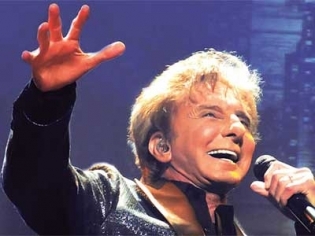 Barry Manilow is an icon in the music industry. He brings his angelic voice and cool stage presence to the Westgate in Las Vegas for a show revisiting his hits. With 12 number one singles and over 50 hits in the Top 40 he has a treasure trove to choose from. This popular show has been extended by popular demand through June 2019. This iconic performer delivers a concert of hits that thrills the audience night after night. He is a Grammy, Tony and Emmy award winner who has received the Best of Las Vegas award for this 85 minute show. Grab your tickets while they are still available!